This is another fence system that has evolved over time, it is no longer just the smooth white finish, but now you have a choice of colour and finish. The most popular finish has been the wood grain texture finish, which simulates the texture of wood. There Is also a choice of 4 solid colors and 9 blended colors. 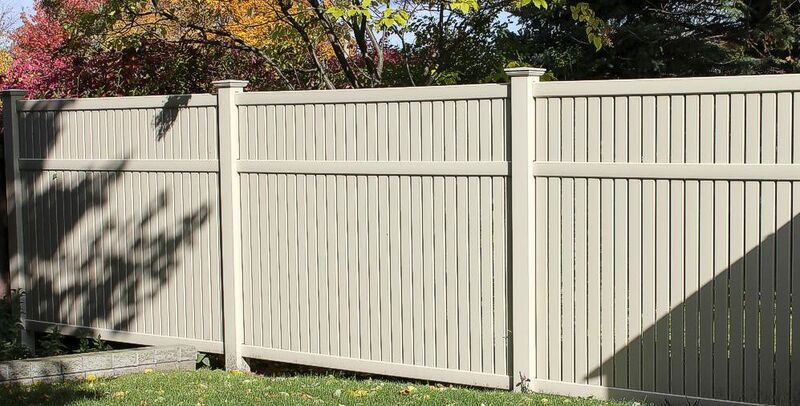 As for the style of fence the 6’ high solid fence is the most popular, but there are semi private designs, you can add a lattice or Victorian accent and the picket fence design is also available. The main advantage of a vinyl fence, is the low maintenance.